Back in from commercial fishing for the Vermilion Snapper had a good trip with plenty of reds and large trigger fish and jacks. funky color fish.this on likes to bit. Back in again commercial fishing for the vermilion Snapper.The fish offshore in the Gulf Stream are biting good.We done this trip in 3 days with over 1000 pounds of Trigger fish and Snapper. One more week of commercial fishing then its time to charter fish. One Bad fish caught this week commercial fishing.This fish is a surgeon fish it has blade like spines on there sides near the tail which can inflict deep lacerations.Hard to see the blades in the pic but they look like exacto blades. 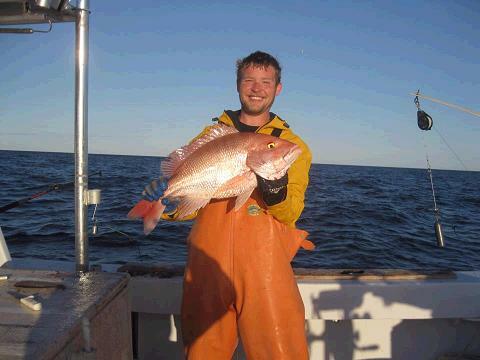 Mate Nick with nice snapper on last Commerical trip.I have some 1/2 day trips coming up this week its time to get both boats ready for the 2012 season. and the Fish Hook II.Been catching Black Sea Bass and Spiny dog fish and Sea Bream. 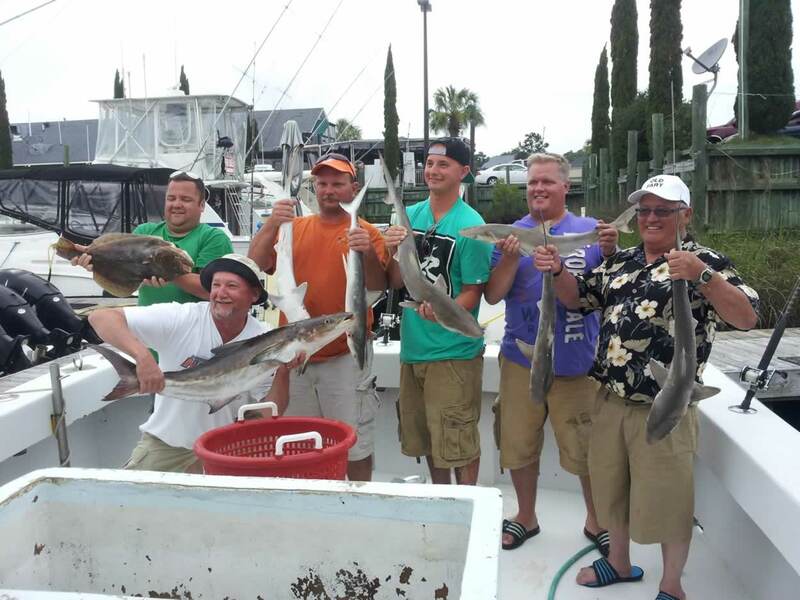 Capt Richard long on the fishhook II scores with a Smooth Dog Shark on 3/4 day trip this week. Still catching some spiney dogs mixed in with 100s of Sea Bass. 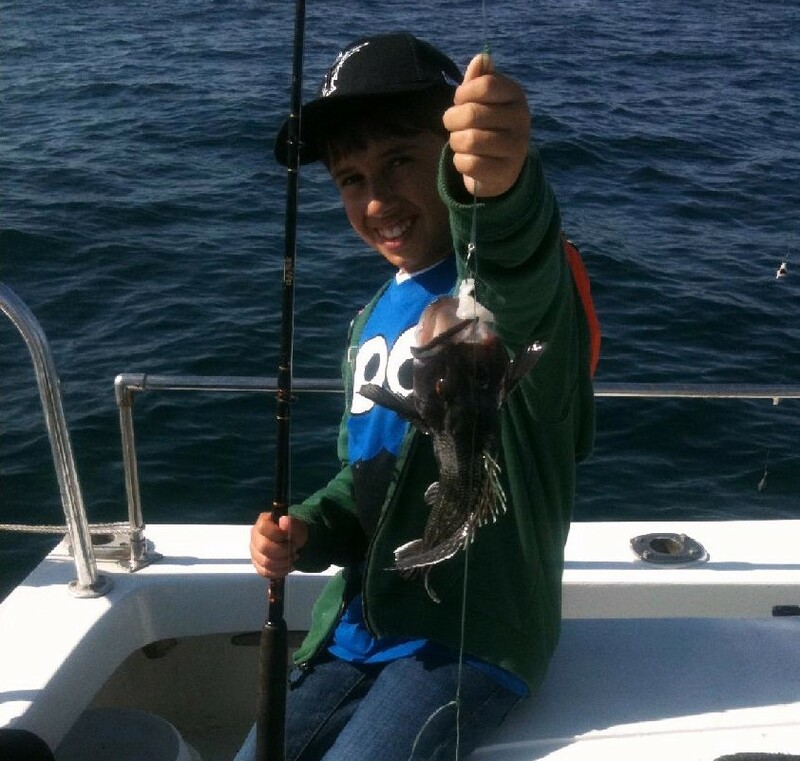 With the closer of Sea Bass there is no shortage of them we are catching large numbers of them on 1/2 day trips fun for the kids. This week we have had some beautiful weather with calm seas .Done alot of 1/2 day trips with plenty of action of Sea Bass and some Spiny Dog Sharks should be catching some different typs of fish with the water warming up fast. !/2 Day trip again with 2 lb Sea Bass. Pics form a family having fun with kids on 1/2 day trip. First Spanish Mackerel this year a little early for them but with the mild winter anything possible. Day off doing a little father and son fishing with the little boat. Today had a good trip on a 8 hr trip offshore catching King Mackerel and little Tuna.And bottom fishing a lot of big Sea Bass and Atlantic sharp noise sharks.On the 1/2 day trip the Spanish Mackerel are showing up now. 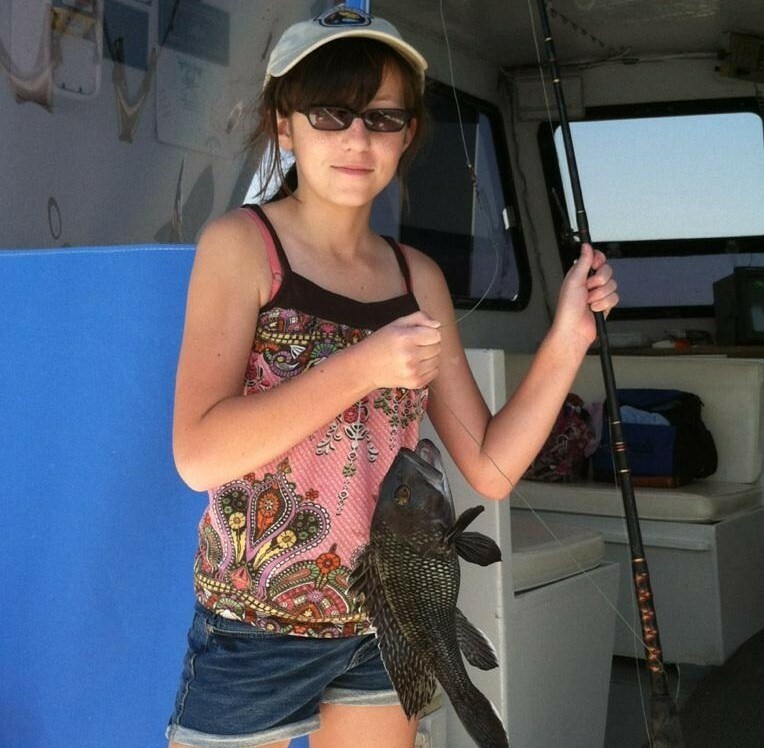 More pics from this past week with the kids having a blast with the big Sea Bass we catch on 1/2 day trips. Big grouper bit going on on Gulf Steram trips,lots of trigger fish two.On 1/2 day trips we been catching Sea Bass and sharks. Time for the big sharks on 1/2 day trips We caught the 1 st Black tip shark today on the Fish Hook. 1/2 day trips catching alot of Atlantic Sharp noise and the Black Sea Bass open on Fri June 1st so we will be able to keep them now.